Students from around the U.S. gathered in Washington, D.C., in November for the inaugural Mid-Atlantic Collegiate Recovery Leadership Summit. 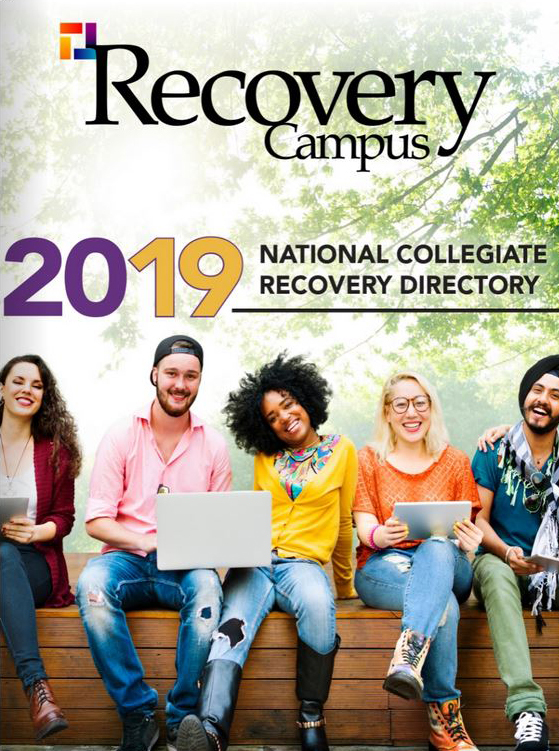 The Collegiate Recovery Leadership Academy connects students in recovery from coast to coast and pairs them with mentors to further the growth of recovery initiatives across the nation. Across the nation, students are working to maintain their recovery and to build a community on campus that is supportive of those living a life of sobriety. However, for many of them, they are working in a vacuum without clear lines of communication to connect with fellow students on other campuses to brainstorm, network or share knowledge. Connection is key to building sustainable, thriving campus recovery programs. In 2018, the Association of Recovery in Higher Education (ARHE) and S.A.F.E. (Stop the Addiction Fatality Epidemic) Project joined forces to make those connections happen through the Collegiate Recovery Leadership Academy. Their goal? To provide college students in or seeking recovery assistance for substance use disorders with the knowledge to create and strengthen efforts on their campuses and train them to be effective leaders. By strengthening ties to initiatives across the nation and empowering students, ARHE and S.A.F.E. Project aim to grow the number of campus recovery programs and recovery-related services on campuses nationwide. This year, approximately 60 students from 25 states were accepted into the academy, which gives them the opportunity to participate in a yearlong program that will have a direct impact on collegiate recovery on their campus and in their communities. Through networking events and mentorship, students are taught the power of servant leadership — a philosophy that focuses on serving others first and exercising leadership second. They learn how to foster these leadership traits as well as gain insight into their personal strengths. Then, they use these strengths to support themselves and others in recovery. 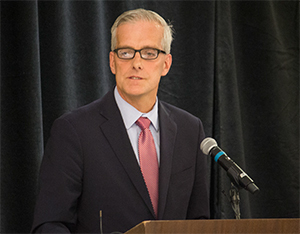 The former chief of staff for President Barak Obama, Denis McDonough, gave a keynote address on leadership at the Mid-Atlantic Collegiate Recovery Leadership Summit. During the year, each student will design and execute an impact project to improve collegiate recovery supports, policies or perception on a local, regional or national level. Some project examples include policy promotion, research, anti-stigma campaigns, Narcan training for students or training to increase a positive recovery environment on campus. Members are paired with mentors who help guide them as the project is implemented. Throughout the year, students will have continual check-ins with their mentors and academy staff. As they work on their chosen project, the students will build their self-confidence and leadership skills as they gain practical experience with guidance from being paired with a mentor who has impacted the recovery community and demonstrates servant leadership skills. The students will present the results of their projects at the 10th National Collegiate Recovery Conference in Boston from June 29 to July 2, 2019. “Mentors were selected for their outstanding work in the recovery field — from treatment centers, government agencies, nonprofits — who we felt could build a relationship with students and serve as an informal project adviser,” Rabolt says. 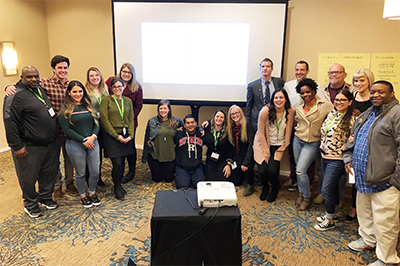 Students attend an ARHE/SAFE Regional Summit, which are open to all students interested in collegiate recovery, not just members of the academy. The summits — which feature keynote speakers, interactive workshops, roundtables and open discussions — are designed to be a catalyst for networking, personal growth and increasing students’ knowledge base. Topics presented center on collegiate recovery, leadership and service. 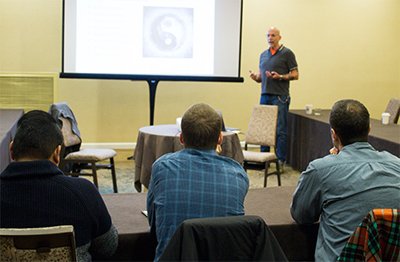 The workshops and training focus on advocacy, messaging aspects of social justice and innovative approaches that various campuses are taking in collegiate recovery. The first summit was in November in Washington, D.C. Upcoming events are in Keystone, Colorado, and at Augsburg University in Minneapolis. S.A.F.E. Project provides student scholarships to help cover travel-related expenses for the weekend events for academy members. Tom Hill, vice president of practice improvement at the National Council for Behavioral Health, leads a breakout session on leadership. Jesse Harvey, who is pursuing a master’s degree in policy, planning and management at the University of Southern Maine, is no novice to the recovery field. He is the director and founder of Journey House, which provides recovery-oriented, evidence-based and peer-run housing as well as peer support and advocacy for individuals with substance use disorders in Maine. He also is teaching a recovery coach academy at the university’s collegiate recovery program, which he joined when it was established about two years ago. But he still has more to learn. As the founder of four recovery houses, Harvey would like to apply what he learns at the academy to opening a collegiate recovery house. For his impact project, Harvey will focus on breaking down the “silo effect” he sees in recovery by networking and getting various groups to work together for the common goal of promoting a successful life in recovery. He is looking forward to working with his mentor, Tom Hill, vice president of practice improvement at the National Council for Behavioral Health, whom he has met previously at other conferences. Sherri Ahern, who is in her second year of graduate school at Florida International University, also returned from the November summit with a renewed vigor. Although FIU has a student organization that offers events such as sober tailgates and movie nights, there is no collegiate recovery program yet. Ahern, who had attended past ARHE conferences, says she applied to the academy to tap into the wealth of knowledge that the national organization could offer. 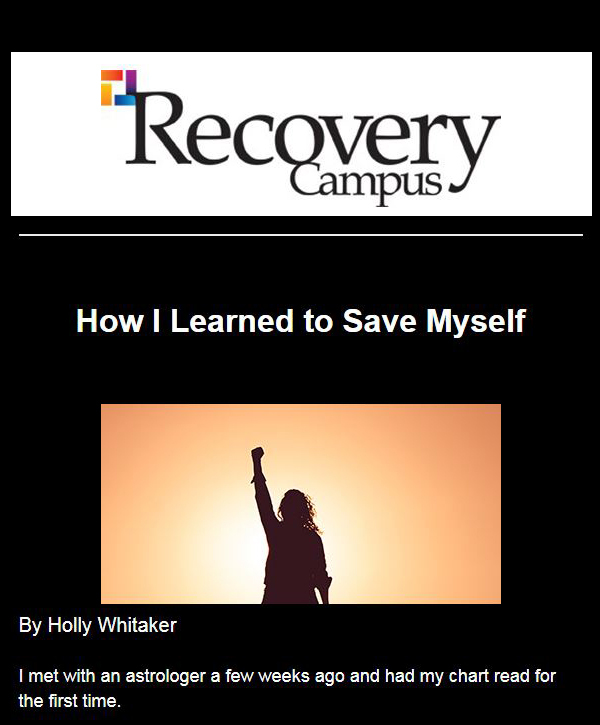 For more information on the Collegiate Recovery Leadership Academy, visit collegiaterecovery.org/academy. Admiral James Winnefeld, co-founder of S.A.F.E. Project, discusses the importance of having a presence for recovery on every campus. 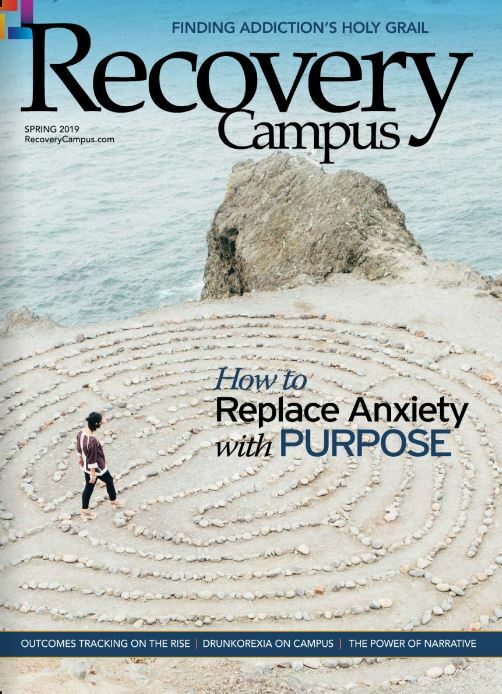 Recovery Campus: Discuss the importance of supportive communities to students in recovery. Admiral Winnefeld: There are several reasons for campuses to have solid recovery programs. Obviously, a number of incoming students will already be in recovery and will need the support. It is also very likely that some students will become substance dependent while at school, will gain treatment and then will need support in recovery. Also, having a strong and visible recovery program on campus will naturally educate the rest of the student body, reduce stigma, and demonstrate that recovery is possible and addiction is a disease, not a moral failing. RC: What is your vision for the S.A.F.E. Campuses initiative? Admiral Winnefeld: Our priority is recovery. We encourage schools that don’t have a recovery program to develop one and encourage schools that already have one to ensure their programs achieve and sustain high quality. To that end, we will make available best practices and benchmarks, as well as sponsoring the leadership academy. Our efforts will hopefully expand into ensuring the availability of the lifesaving drug naloxone as well as enhancing campus prevention efforts.